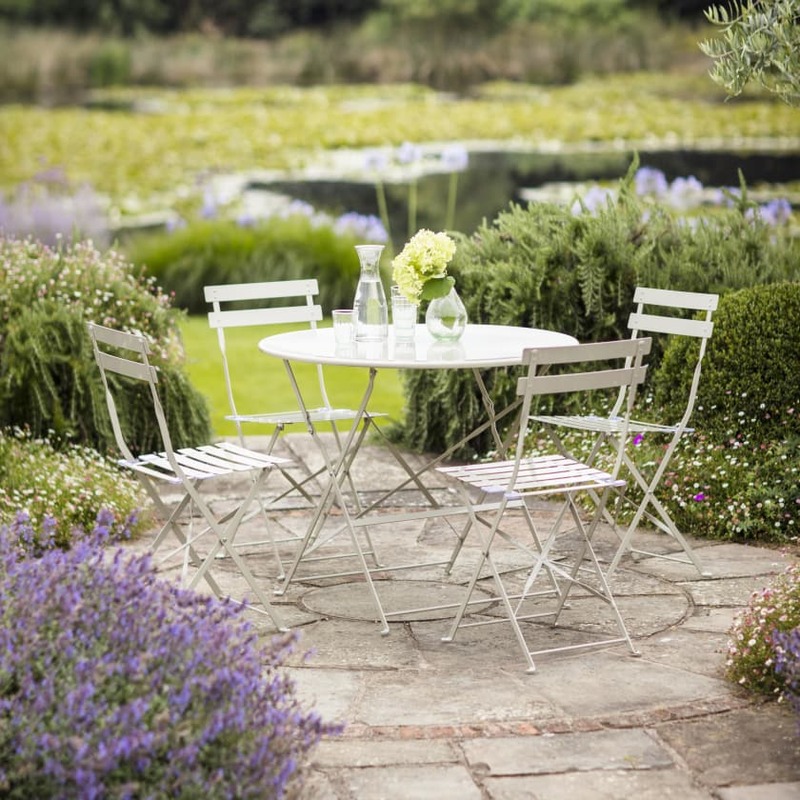 Our larger size bistro set is ideal for al fresco dining and a perfect fit for the patio, terrace or rooftop garden. Both the chairs and table are completely foldable making them effortless to store away when not in use. 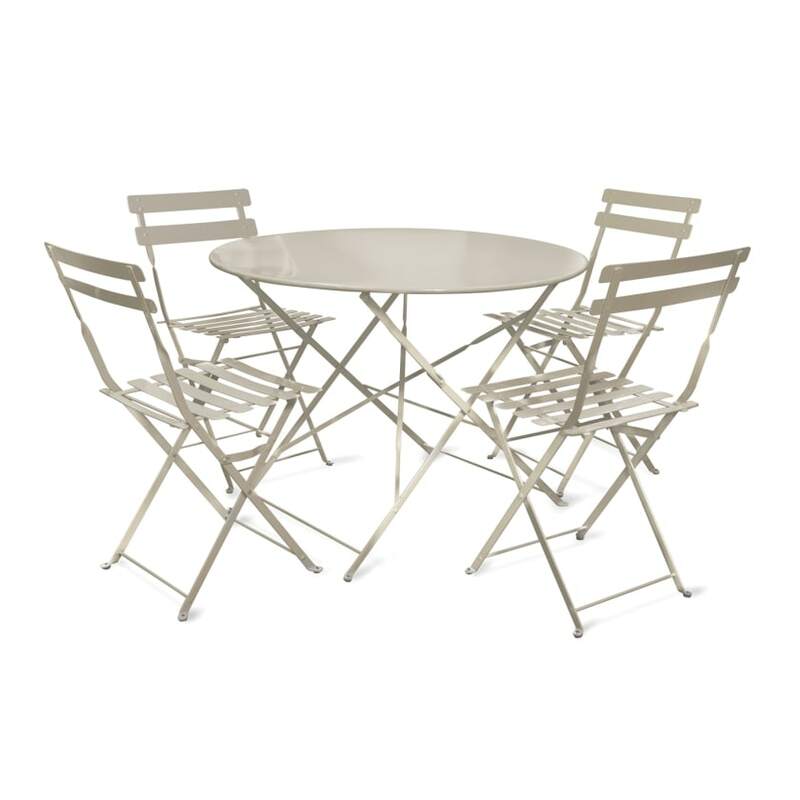 Crafted from powder coated steel the set is both weatherproof and durable making it the perfect choice for use throughout the summer months. This set comprises of a circular table and four matching slatted chairs. If the item is damaged or faulty we will refund your purchase provided you contact us within 72 hours of delivery. If you wish to return the item there will be a collection charge of PS20.